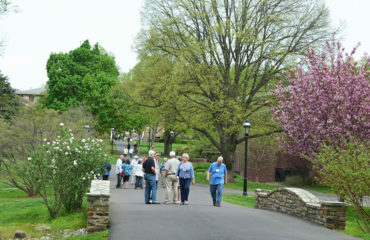 George School welcomes alumni back to campus for Alumni Weekend, May 3–5, 2019. Class years ending in 4s and 9s will celebrate their milestone reunions this year, but all alumni are welcome to join the fun. 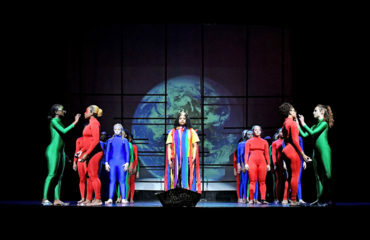 This year, Dance Eclectic will take place on April 12 and 13 at 7:30 p.m. The performance features ten original works from student choreographers, several of which are International Baccalaureate (IB) submissions. 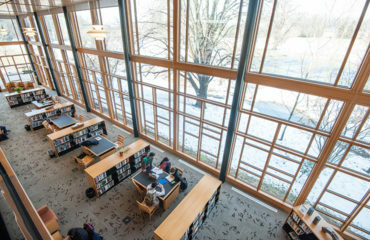 George School is pleased to announce the students that were named to the Honor Roll and/or Head of School’s List’s list for Term 2 of the 2018–19 academic year. 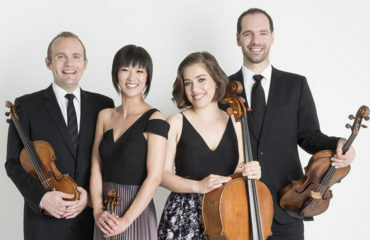 Winner of the prestigious CMA Cleveland Quartet Award, Philadelphia’s Jasper String Quartet will perform at George School on Friday, March 29, 2019 at 10:25 a.m. in Walton Center. The performance is made possible through The John Charles O’Neill Musical Performance Fund. George School’s athletics director search process has reached a successful conclusion. Kurt Ruch will begin as our new director in July. 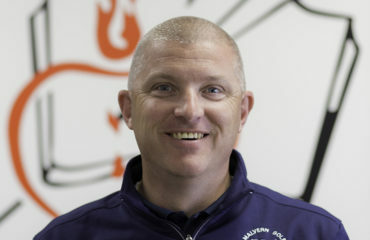 Kurt comes to us from Malvern Preparatory School, where he is currently Director of Athletics overseeing a highly competitive eighteen-sport, fifty-four-team program. 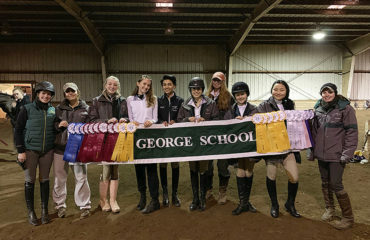 George School’s varsity equestrian team tied for second place at the Interscholastic Equestrian Association (IEA) Regional Competition, setting a George School record. “This is the best the varsity team has ever done in the team competition,” said Tiffany Taylor, equestrian director. Wendy Talbot ’70 passed away in May 2015, just weeks after attending her 45th reunion at George School. 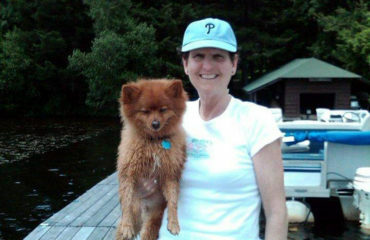 Countless George School friends and family members attended her memorial service and recounted Wendy’s ability to relate so well to people of all ages and her genuine commitment to helping others. Lehigh University conducted the thirty-ninth annual Mathematics Contest for High School Students on Sunday, March 2. 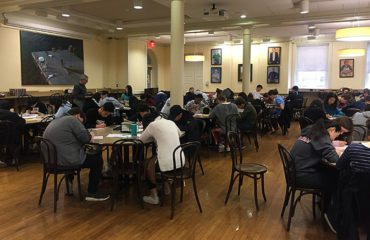 Ellen Zhang ’21, Tommy Wang ’21, Forest Ho-Chen ’22, and Justin Liu ’21, represented George School in the two-hour written exam. Claire Schmucker ’20 was accepted into the National K-12 Ceramics Exhibition with two wood-fired ceramic pieces, Coiled Vase and Altered Tea Bowl. 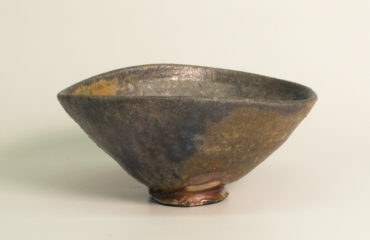 The National K-12 Ceramics Exhibition received more than 1,000 entries this year, and only one hundred and fifty were selected to exhibit. 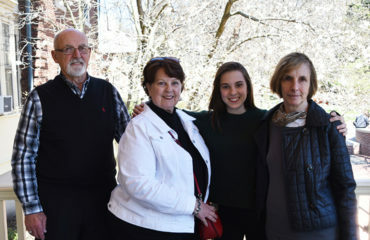 On Sunday, April 14, 2019 George School will welcome grandparents and special friends to campus for Grandparents and Special Friends Day.